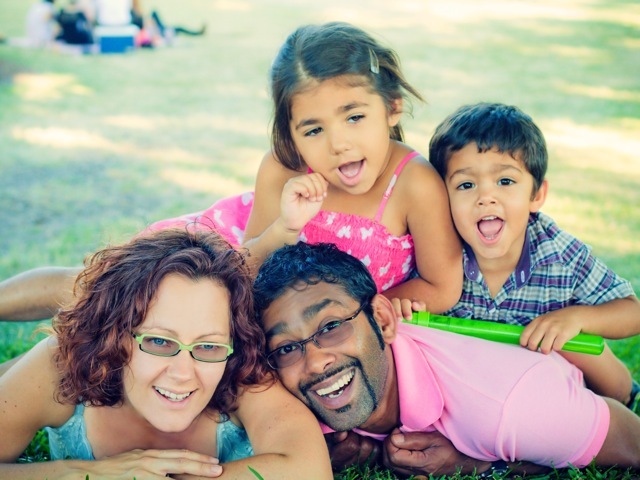 I love this photo that Jo Dissanayake from Pass The Post sent of her gorgeous family! How happy do children Erykah 7, Xavier 3 look (and mum and dad too!). They live in Keperra, Queensland, Australia and Jo has run her business for 3 years now. Jo’s 37 and originally from the UK. There she studied a BA(Hons) Travel & Tourism from University of Luton UK, and finds the customer service, business and finance components of this useful for running her business. She offers a range of unique mail forwarding services, handy for businesses or travellers. You can find out more on her website (link above) or follow the Pass The Post Facebook Page. I bought the it oﬀ a mum at school! Unexpected thing about becoming a parent? Unexpected things about starting a business? Greatest wish for your children? And your business? The dungeon it is under the house! A myth about being in business? How do you manage childminding?